Your Body is designed to heal itself! 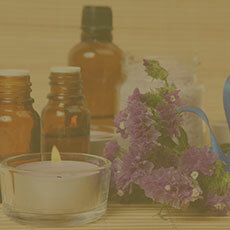 Naturopathy healing awakens & accelerates the body’s natural mechanism to healing with safe, natural & long term results! Use our online booking system to conveniently book your private consultation. Service is available in English & Arabic. Doctors estimate that many of the illnesses we suffer from are a result of stress, which is triggered by imbalanced thought processes in the mind. If this imbalance is left untreated, it will eventually manifest as an illness in the physical body. Naturopathy & Alternative Healing solutions focus on removing obstacles that create illness in our body, by focusing on flow that disturbs the vital living force within us. This force guides bodily processes such as metabolism, reproduction, growth, and adaptation. Naturopathy favors a holistic& non-invasive approach by treating the person as a whole – body, mind and energy—as opposed to only on the physical body. Benefits: Safe, Effective & Long term with no side effects! Naturopathy is not a replacement for medication! Please see your doctor for immediate attention on serious health concerns. Book Your Naturopathy Session& Experience the Miraculous Transformation in Your Life! **Disclaimer: The benefits mentioned above are based on each individual’s experience and results may vary for different individuals. LEARN MORE ABOUT OTHER Energy HEALING APPROACHES! Yoga is the union of mind-body-spirit through a practice of asanas (yoga postures), pranayama (yoga breathing), mudra (body gestures) and shatkarma (internal cleansing).